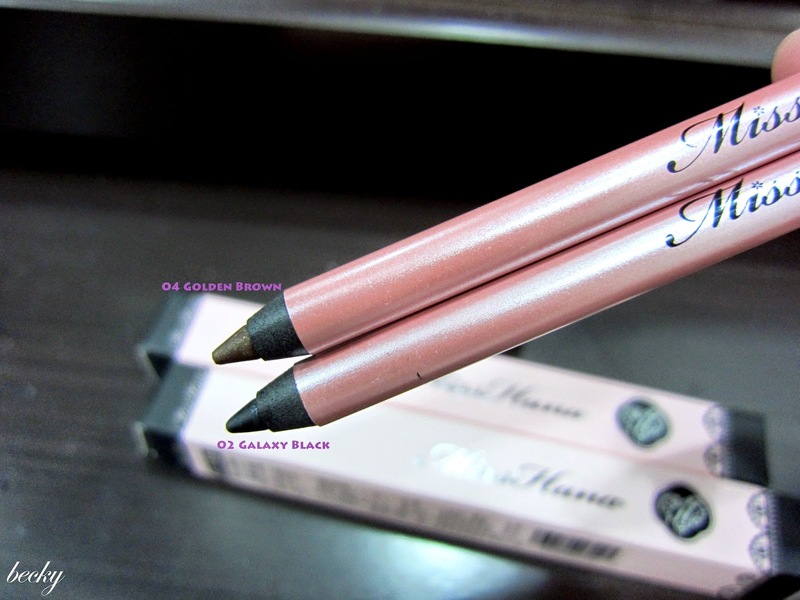 Thanks to Natta Cosme, I got the chance to review on Miss Hana again - Miss Hana Waterproof Gel Eyeliner (Stardust)! Check out my previous review on Miss Hana here. This time, I was given 02 Galaxy Black and 04 Golden Brown to try out. Evenly coloured and achieved colour full excellent natural lines to create 3 dimensional deep eyes! Extremely waterproof removable - long time anti-sweat, anti-tears, and maintain a whole day without smudges! I really love the packaging a lot. Sweet pink in colour, which is very lady like. The application is really very easy and smooth, even for a first timer like me. You can easily create the perfect liner that for different occasion. My thoughts on the eyeliner? I took the "Before" photos early in the morning before going for work, and the "After" photos almost 12 hours later. You can see that the smudges are quite minimal, and also the colours still stay on. I really like the eyeliner a lot! Though it has the name "stardust", but the shimmers are not overwhelming, and can be wear during the day. 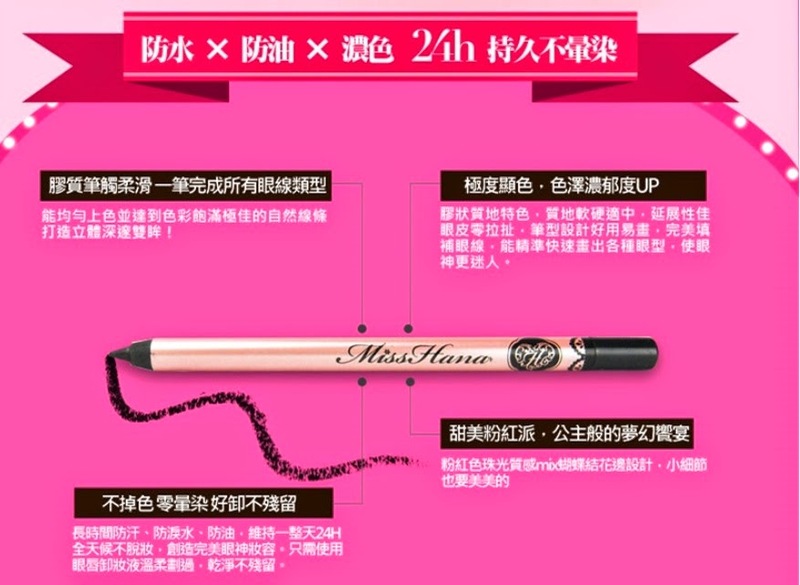 The eyeliner is selling at RM34.90 at Natta Cosme. For my readers, I have a good news for you! 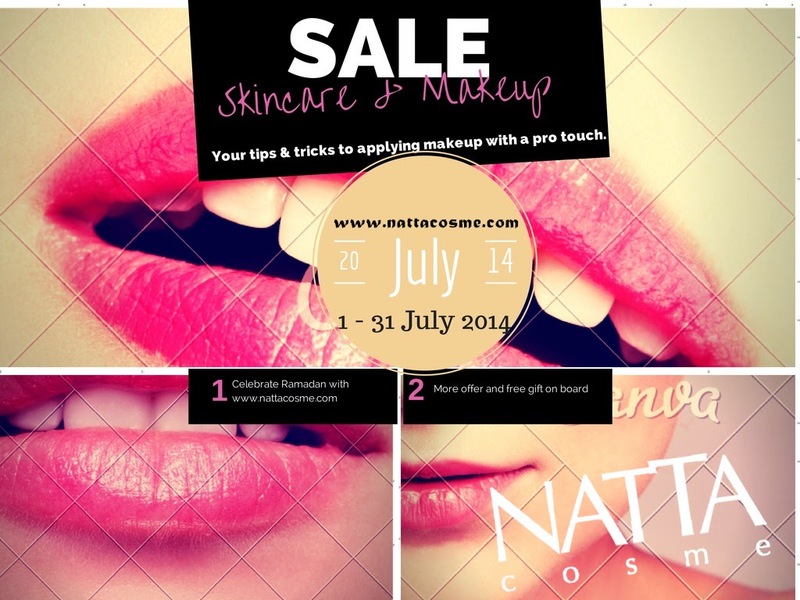 Natta Cosme is having a 20% off for Miss Hana Gel Eyeliner. Just simple key in "MHES 20" during purchase. The code is valid until 31st August 2014.
it's not hard to remove. I use CyberColor eye makeup remover. The makeup remover works on Kiss Me's mascara too. Ohhh .. looks like it would make a puurrrfect cat-eye. I like that it's waterproof .. what do you use to remove it? I use the eye makeup remover from CyberColor. But I think the one from Maybelline should work just fine too. I love galaxy black, it would perfectly match the color of my eyes and I am amazed that it is really waterproof because some other eyeliners get washed away so easily. So cool! Wow! What a great find! I have just bought a Benefit eyeliner as it claims to be waterproof. It is also good but very costly. oh~~ it is the ones that Benefit launched recently? I'm thinking of trying their eyeliner too, as I really like Benefit's products. I did not hear of this brand before, but those eyeliners look promissing. I like their sleek packaging and the good pigmentation. I think it's few of the gel eyeliners that really work on me. I tried some other and they smudged way too much! There's so much moisture in the eye region. 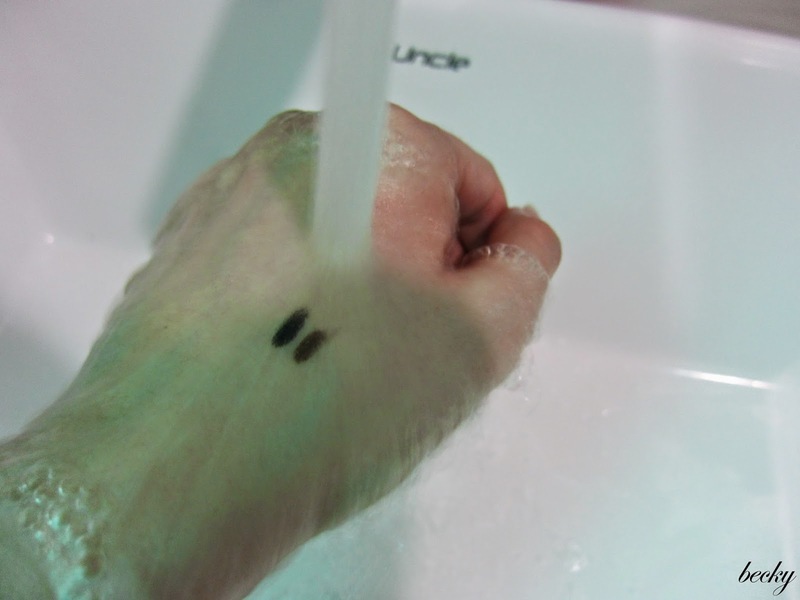 It's nice that they have a waterproof eyeliner to prevent it from smudging. This looks like a great product! There is so many different ones out there that it is great to get someones' honest opinion. Eyeliner should be water resistant and never smudge near the eyelids. should be lighter than the eyelids color. It can be sharpen but you need to use a sharpener for eyeliner. Or use a blade to sharpen it. Sounds like a really great eye-liner! I really love the thick pencils myself. So far is working fine for me, and I like to use the thick pencils type sometimes too. I'm looking for gel liner, this is so perfect in timing! 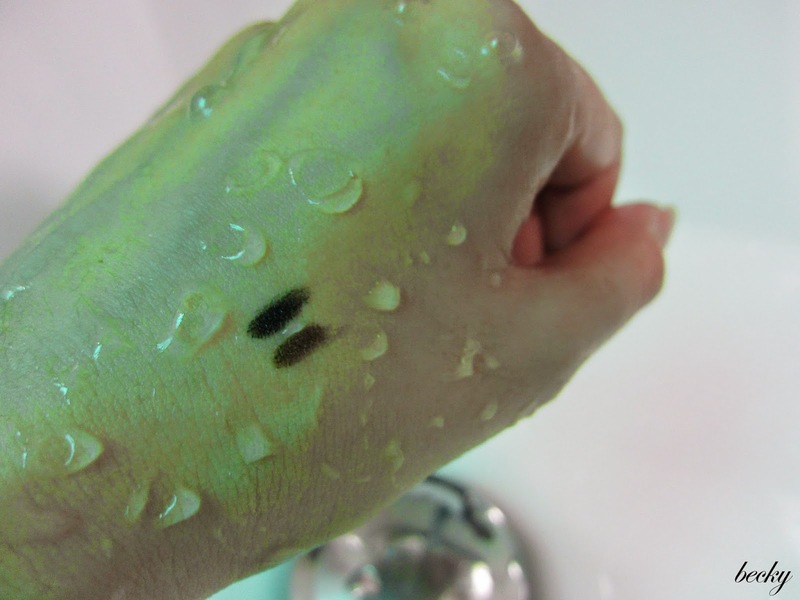 Really proves that its waterproof. I don`t think I`ve ever heard of this brand. Thanks for the review. Amazing! a friend of mine will love your review!